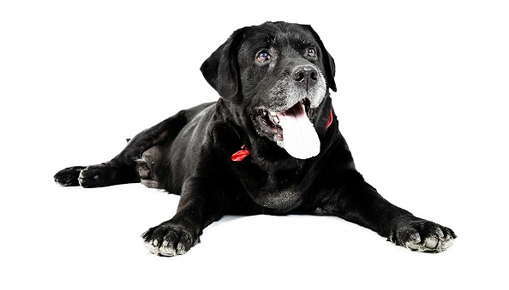 Hypothyroidism is the natural deficiency of thyroid hormone and is the most common hormone imbalance of dogs. This deficiency is produced by several different mechanisms. The most common cause (at least 95% of cases) is immune destruction of the thyroid gland. It can also be caused by natural atrophy of the gland, by dietary iodine deficiency, neoplasia (primary or metastatic) of the thyroid gland or (rarely) as a congenital problem. Hypothyroidism is most common in medium to large breeds of dogs that are middle aged (4 to 10 years) but can occur in any dog. Hypothyroidism is extremely rare in cats and is most commonly seen in cats following bilateral thyroid removal or radioactive iodine therapy for hyperthyroidism. This is often transient and usually does not require therapy. Rarely cats can have congenital hypothyroidism. 40% had hair loss (often on the tail or on both sides of the trunk and flanks ). Hypothyroidism is treated with the oral administration of thyroid hormone, usually given twice daily for the life of the dog. Periodic blood testing is recommended; it is important to know if the medication dose is too low or too high. Thyroid supplement is a safe medication but if it is not given in sufficient doses the patient will not be adequately treated. If the dose is too high excessive water consumption, weight loss, and restlessness can result. Once a pet is started on thyroid supplementation, it is recommended to check a T4 level in two to three weeks, with the blood draw between 4 to 6 hours after the morning dose.Once the correct dose is found, it is recommended to perform a T4 every six to twelve months. This is a very common disease of the middle aged to older cat. A tumor (97% are benign) on the thyroid gland starts producing too much thyroid hormone. Symptoms are usually weight loss in spite of eating well and vomiting. Other signs you might see are diarrhea, a dull and flaky hair coat, and personality changes. This disease usually can be easily diagnosed with a blood test, although occasionally we need a special test called a technesium scan to diagnose the early, borderline cases. There are three basic methods of treatment: radioactive iodine, surgery, or an oral medication called methimazole (Tapazole). For most cats, the best treatment is radioactive iodine. In 97% of the cases, it is a one-time treatment. The biggest disadvantage is that the treatment needs to be done at a special facility, and the cat needs to be hospitalized for usually 5 to 10 days. In the past, surgery was a common treatment, but it is performed less frequently as the problem seems to recur on the other gland. Treating with Tapazole is also common, but has the disadvantage that it is life long and the cat needs blood tests to monitor the thyroid level and to check for adverse effects. The disease of hyperthyroidism can actually help the kidneys. If the cat has both kidney disease and hyperthyroidism, it is not a candidate for radioactive iodine and the dose of Tapazole may need to be adjusted. Kidney tests are also monitored when a cat is being treated for hyperthyroidism.